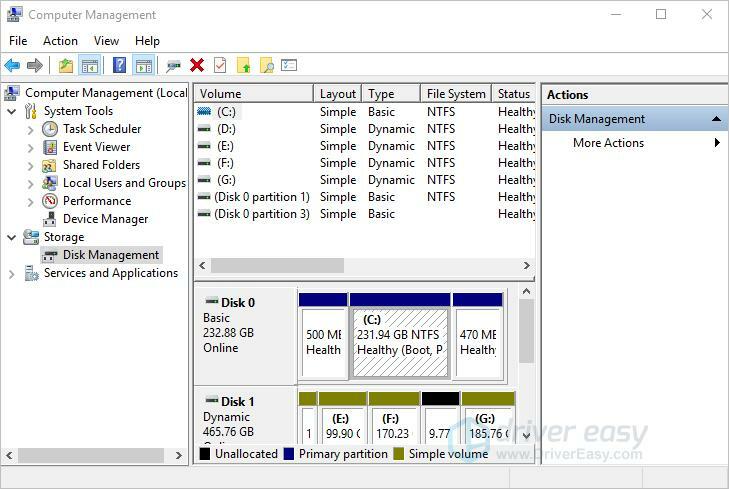 Disk Management is a built-in drive management tool in Windows. You can use it to partition a hard drive, format a hard drive, or change a hard drive letter. 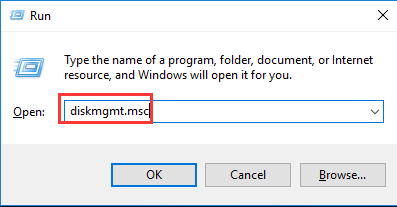 To open Disk Management, you can use one of the two ways below. 1. Press Win+R at the same time to invoke the Run box. 2. Type diskmgmt.msc in the run box then press Enter key. 1. Click the Start button to bring up the Start menu. 2. 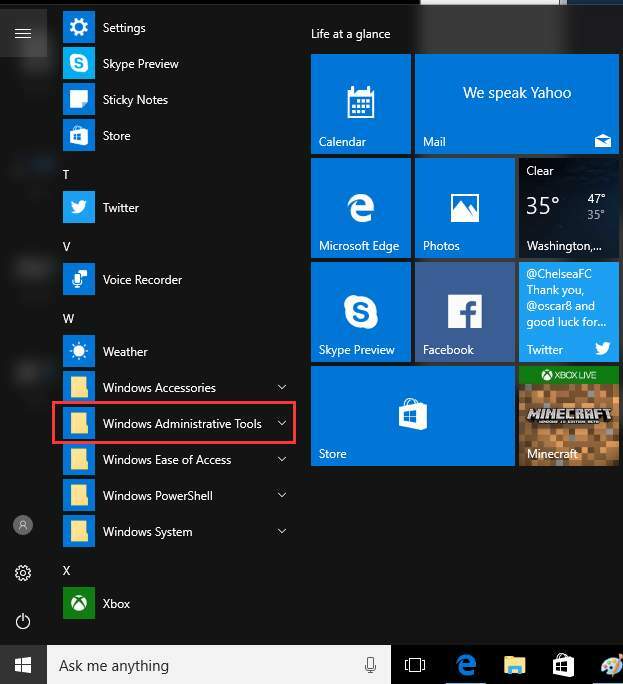 Scroll down the apps list to find the folder Windows Administrative Tools then expand it. Note: Windows 10 version 14393 and above builds have a new Start menu which have removed All apps option. 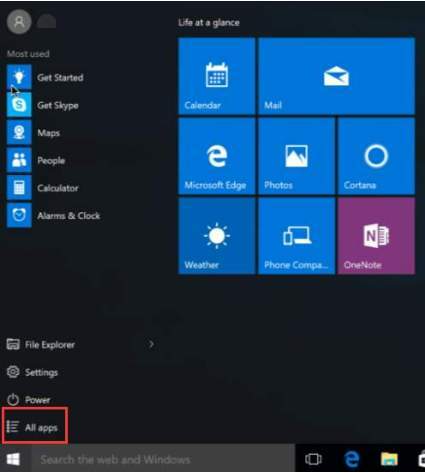 If you have lower build than 14393, you will see All apps in the Start menu (see below image). 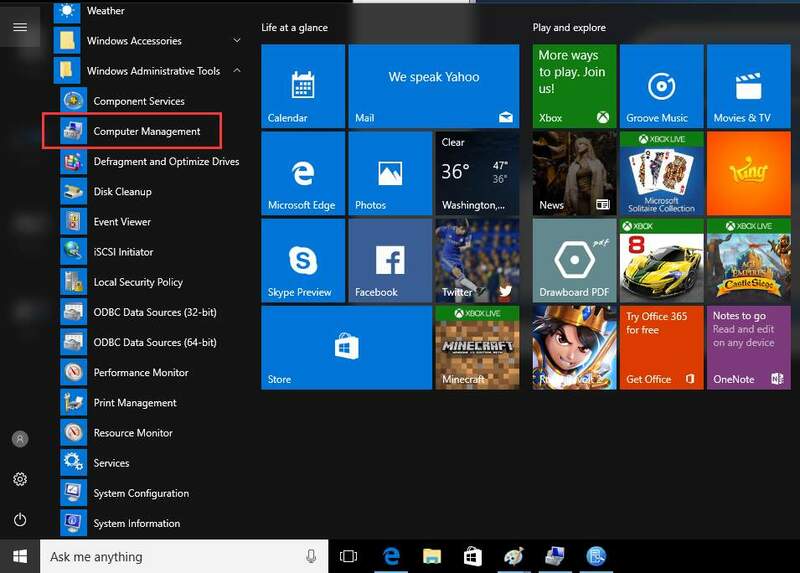 Then you need to click All apps then Windows Administrative Tools. 3. Click on Computer Management. Then the Computer Management window will pop up. 4. Click Disk Management in the left pane. Then you will see the Disk Management content in in the right pane. If you find it not easy to use Disk Management to manage the drives, you can use a third-party drive management tool instead. Most of the drive management tools are user-friendly, which allow you to manage the drives easily. If you’re not sure which tool you can use, we recommend using Acronis Disk Director 12. Acronis Disk Director 12 is a well-known drive management tool around the world. You can use it to partition a hard drive, format a drive or change a drive letter easily.